AR6915 is an advanced diesel fuel conditioner designed to address inherent deficiencies in modern pump and bunkered diesel fuels. AR6915 is particularly suitable for medium and large sized diesel engines such as truck, agricultural, marine and rail, including the latest Euro 6 classification. AR6915-D has been engineered to clean, lubricate and protect the engine and fuel system whilst enhancing combustion performance. Mixing ratio 1:3000. 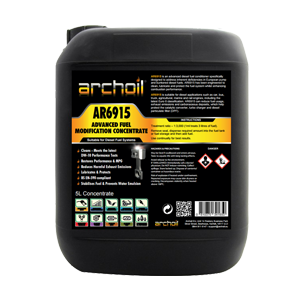 Archoil AR6915 is an advanced diesel fuel conditioner designed to address inherent deficiencies in modern pump and bunkered diesel fuels. AR6915 is particularly suitable for medium and large sized diesel engines such as truck, agricultural, marine and rail, including the latest Euro 6 classification. AR6915-D has been engineered to clean, lubricate and protect the engine and fuel system whilst enhancing combustion performance. Mixing ratio 1:3000. AR6915 contains the latest technology in detergent performance, extensively tested to provide controlled removal of deposits and keep fuel systems, injectors and engines clean. AR6915 will remove all types of deposits from the injectors including carbons, varnish and stubborn lacquers. AR6915 will effectively clean older as well as modern Euro 5/6 specification fuel systems. This results in restored/maintained engine performance, reduction in harmful exhaust emissions and helps protecting the catalytic converter, turbo charger and diesel particulate filter (DPF). AR6915 contains a proven cetane booster and a combustion catalyst that delivers a cleaner burn, improves combustion quality and performance whilst reducing fuel consumption, exhaust emissions and deposit build-up in the combustion area, turbo charger, DPF and catalytic convertor. AR6915 delivers a modern lubricant helping to protect high pressure injection systems and fuel pumps from today’s low lubricity, low Sulphur (ULSD) fuels. An integrated corrosion inhibitor protects fuel tanks and key fuel system components from oxidation. AR6915 prevents water emulsion and keeps water out of the fuel. Avoid breathing vapours, avoid contact with skin, eyes or clothing. Mixing ratio 1:3000 for day tank. 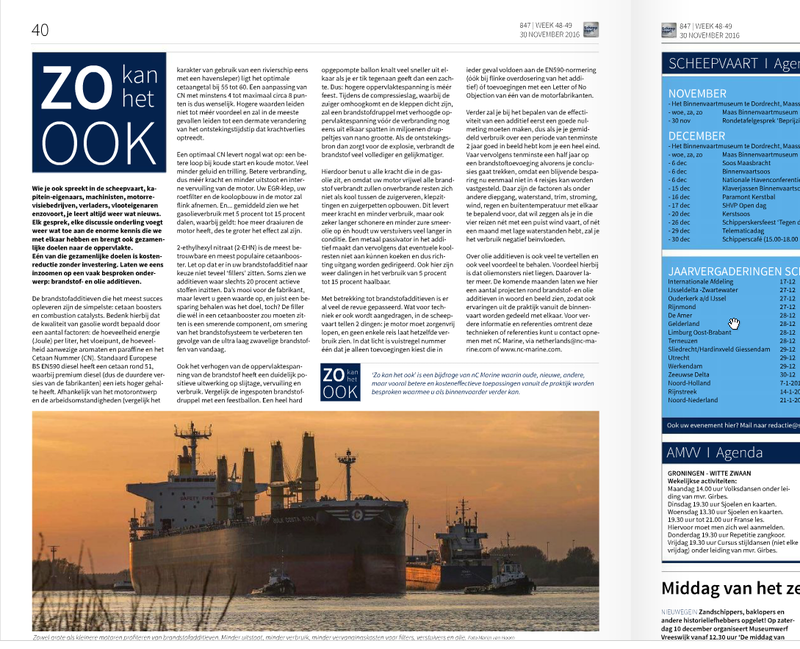 Archoil AR6915 has a shelf life of 2 years. Store between temperatures of 0° Celsius and 40° Celsius. Archoil AR6915 is available in 5 liter cans, 20 liter pails, 200 liter drums and 1.000 liter IBC. Archoil AR6915 is allowed for transport by air.